Thank you all very much. A lot of good information here. I will sign up for the Arrow thing. I have looked at Tiger Direct before now, as well as Amazon and Best Buy. That $500 one on Amazon doesn't look at all bad for the price, although doesn't have the ssd. The help is really appreciated. I also use slickdeals. Problem is, once an item appears on one of these sites, the item sells out quickly if it is worth having. Views on the Acer and HP brands please? And is a dedicated graphics card important? Last edited by Lion in Winter; Nov 5th 2017 at 4:10 pm. No experience of Acer, but I have an HP desktop for serious stuff, and an HP laptop that I use basically just for streaming purposes; I haven't pushed the laptop too far. Both are so far absolutely fine, but they are still both under two years old. I have an HP printer/scanner/copier as well, and apart from the usual gripe that it eats ink cartridges faster than I can buy them, no problems there either. I moved over from Dell to HP only because there were some very good deals around on HP kit at the appropriate times. I ran my old Dell desktop for about 9 years before it finally keeled over - the fan conked out. 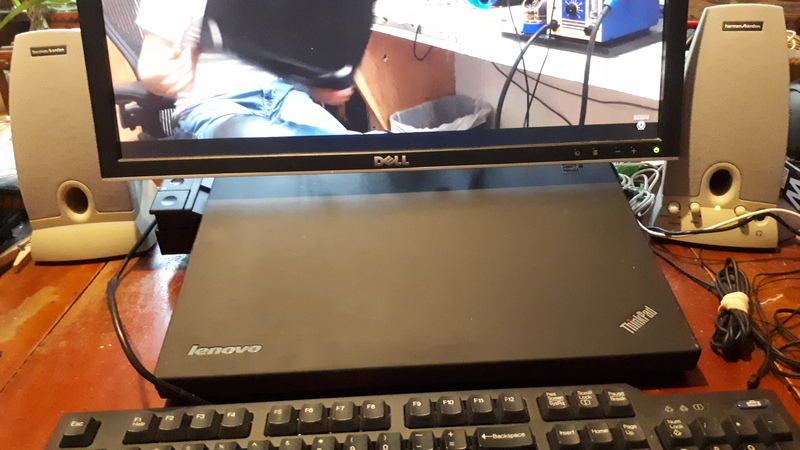 When I was still employed we had our gorgeous Thinkpads 'upgraded' to Dell 6420s and we were mostly disappointed, so to my mind previous posts on refurbished Thinkpads are well worth considering. My HP Elitebook work laptop with similar spec to my personal Thinkpad is much slower. Also I prefer the docking station for my Thinkpad. That may be another consideration to getting a business machine. I have a keyboard, mouse, network, other USB thingies and 2 monitors setup at home for use with my personal laptop. I bought the docking station off ebay for about $20. I just plug the laptop in and I have something almost as good as a desktop. When I need to I can just undock the laptop. My mother in law bought me a Gateway (same as Acer) laptop in 2012 and I loved it. Others in the family had HP and it seemed to me that it was always demanding the user to do things. I daresay that could have been disabled. I admit I was also biased against one of them because it didn't have a number pad, just the row, even though it was the same 15.6 size. Earlier this year I returned the favour and replaced her HP with an Acer (which she prefers) That cost about the same as she paid for mine but was even better. As was the Acer I bought myself too. My only disappointment is the keyboard isn't the easy replacement that it was but A) this seems to be a modern thing and B) The letters on the buttons seem less likely to have me wear them out so replacing it occasionally may not be necessary. For an engineering program a dedicated GPU is definitely necessary to run stuff like AutoCAD. Both slightly over $1000 USD but would do good. As for buying on ebay i've bought my last two laptops on ebay and been fine but ymmv. Thanks. I'm not brave enough to buy things like that on ebay. I have no idea how to fix anything that may be wrong with it. My tech friend says Acer aren't built very well, and I think he has one somewhere. Mine are mostly Lenovo Thinkpads, though I have a Dell and an HP as well (all have solid state drives). The older Thinkpads like the T-520 I'm on now can be had really cheap and an ssd adds about $100, and for a little extra weight and bulk they can take a lot more punishment than some others. I like my solid state, and I like Linux. There are more serious reviews on youtube, he gives some hints on defending your laptop in Manhattan. I like using the dock and all the other stuff too. Last edited by caretaker; Nov 21st 2017 at 2:57 pm. Older (2-3 years old) Thinkpad with an ssd and dedicated GPU would be much better and faster then a brand new Acer with an HDD and no GPU. Granted that does have an SSD as well as a HDD but no-one said anything about having both. Last edited by SpoogleDrummer; Nov 22nd 2017 at 2:41 pm. Slightly off topic, but thinking back, my first tablet was an Acer (TF-201 I think, the one with the detachable keyboard) which was pretty cool, but it died about a couple of weeks after the guarantee expired. I moved to Samsung, which was fine for a couple of years until the battery life dropped off making it basically unusable unless it was plugged in, which defeats the purpose of having a tablet. I now have a Lenovo Yoga Tab, and love it.